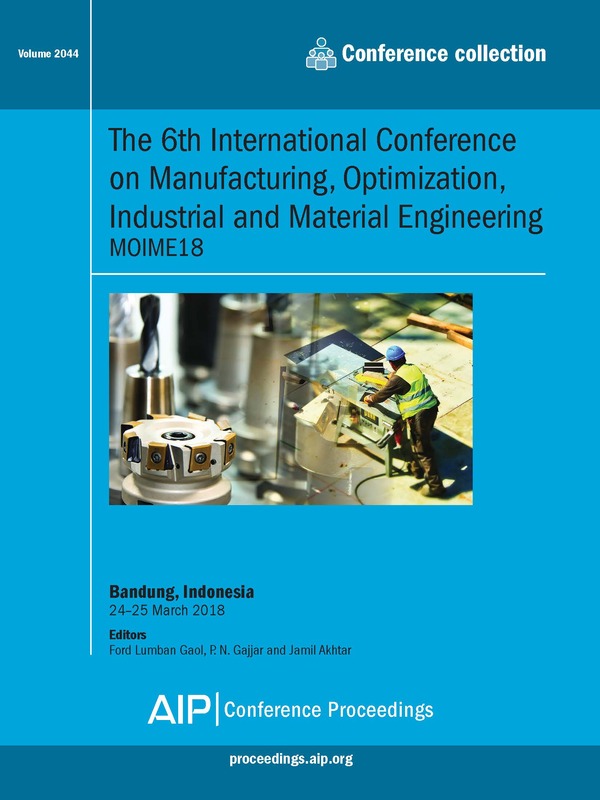 Summary of this volume: MOIME18 is the premier forum for the presentation of new advances and research results in the fields of Mechanical, Industrial, and Manufacturing Engineering. The conference will bring together leading researchers, engineers and scientists in the domain of interest from around the world. The tracks of the MOIME18 are Advanced Manufacturing Technology, New Materials and Advanced Materials, Advanced Mechanical and Manufacturing Design Technology, Manufacturing Systems and Automation, and Optimization Techniques. These proceedings will be of interest to: Researchers, engineers and scientists. For further information about this volume: Please view the table of contents available on AIP Publishing's Scitation platform: Volume 2044 table of contents.